NPR News Nuggets: Yoga Pantspalooza, Bob Dylan's Cold Shoulder & Go, Cubs, Go! Here's a quick roundup of some of the mini-moments you may have missed on this week's Morning Edition. Those wanting to take home a part of "The Happiest Place On Earth" have a chance to do so in a Los Angeles auction. One item up for bid is an animatronic figure from the It's A Small World ride. Hey Bob, it's us. You there? Well, we're still waiting. 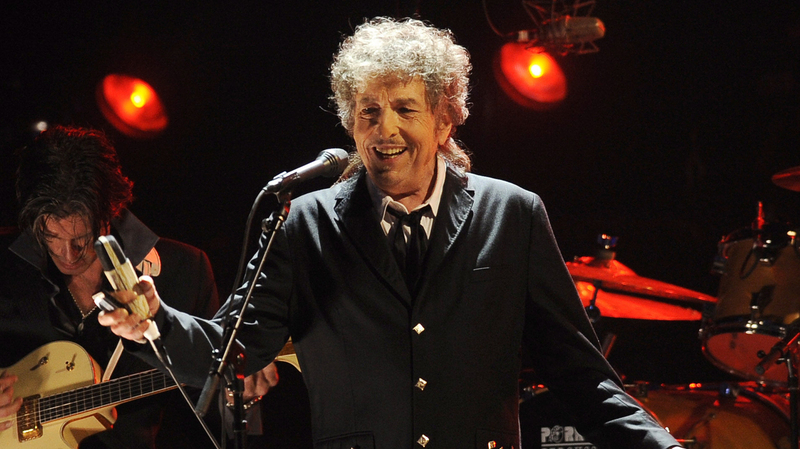 It's been two weeks since the Swedish Academy announced Bob Dylan as the winner of this year's Nobel Prize in literature, and Dylan has still not acknowledged the award. As Morning Edition host Renee Montagne told us Monday, there was a brief moment when it seemed he might, as his website had winner of the Nobel Prize in literature prominently featured in all caps at the top of the page. That only lasted a day, though, and then it was gone. It's clear the Swedes aren't used to this type of silent treatment as one Nobel committee member spoke out and called Dylan impolite and arrogant. Well, then. This is a world of so many questions with so few answers. Will Dylan acknowledge the award? Will he show up as the appreciative winner and accept the award? Who knows. Two weeks after being named this year's laureate for the Nobel Prize in literature, the world has yet to hear from the winner. Everyone's waiting, especially the Swedish Academy. It all started with a letter to the editor. Alan Sorrentino wrote to the Barrington Times in Rhode Island that he had become bothered by a trend in women's fashion, Morning Edition host David Greene told us on Monday. Sorrentino had a problem with yoga pants. He said they belong in the yoga studio and questioned what absurdity he would see next, like men wearing Speedos to the supermarket. Well Sorrentino didn't spot a Speedo at the supermarket, but he did get a parade. Hundreds answered the call and strutted their stuff in yoga pants as they passed Sorrentino's house, all the while carrying signs showing their messages, such as "peaceful pants party" and "we wear what we want." Hey, Chicago! Whadda ya say? Outside the Art Institute of Chicago, two large bronze lions guard the doors. As Morning Edition host Renee Montagne told us Tuesday, it's tradition in the Windy City that these big cats don the headgear of whichever local team is in the finals. So far that's meant the Bears, the Blackhawks and the White Sox. And now, at long last, the lions get to sport caps with the Chicago Cubs emblem on them. 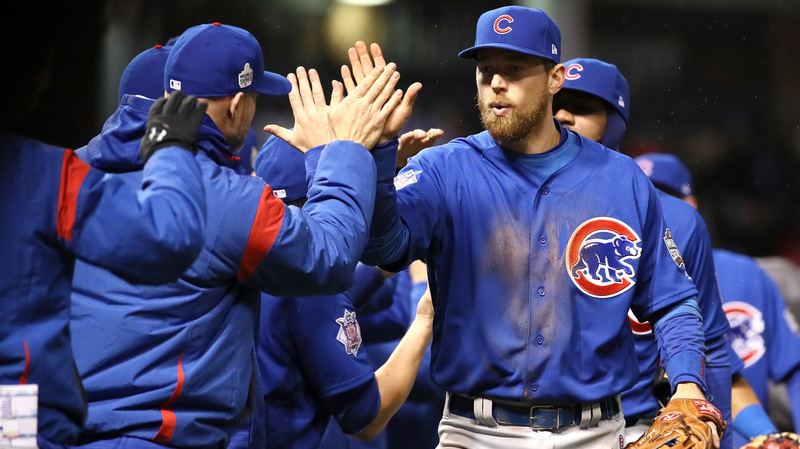 The World Series opened Tuesday night and the Cubs stepped up to the plate for the first time in 71 years. The Cubs haven't made a World Series appearance since 1945, and the team hasn't won the World Series since 1908. To give you some perspective, the Ottoman Empire was still in existence then. It's been more than 100 years, so, yeah. The series is tied 1-1 with Game 3 against the Cleveland Indians starting Friday night in Chicago. Go, Cubs, go! Also, in case you have no idea what those loyal Cubs fans are singing, here's your chance to join in. Ben Zobrist of the Chicago Cubs high-fives teammates after defeating the Cleveland Indians 5-1 in Game 2 of the World Series. The Cubs and Indians will face off in Chicago for Game 3. Linda Blackwell told her husband that playing the lottery wasted their money, and then she planned to show him exactly what she meant. As Morning Edition host Renee Montagne told us on Wednesday, Blackwell went out and bought a Carolina Million Scratcher for $10, instead of the two Powerball tickets her husband requested. But when she scratched, she hit $1 million. It's a major case of eating one's words, but as Blackwell told WLAS, her words are well worth eating. It's a world of laughter, a world of tears — depending on whether you get to take home a piece of Disneyland. Morning Edition host Steve Inskeep told us on Thursday that a Los Angeles gallery is auctioning off Disneyland memorabilia. 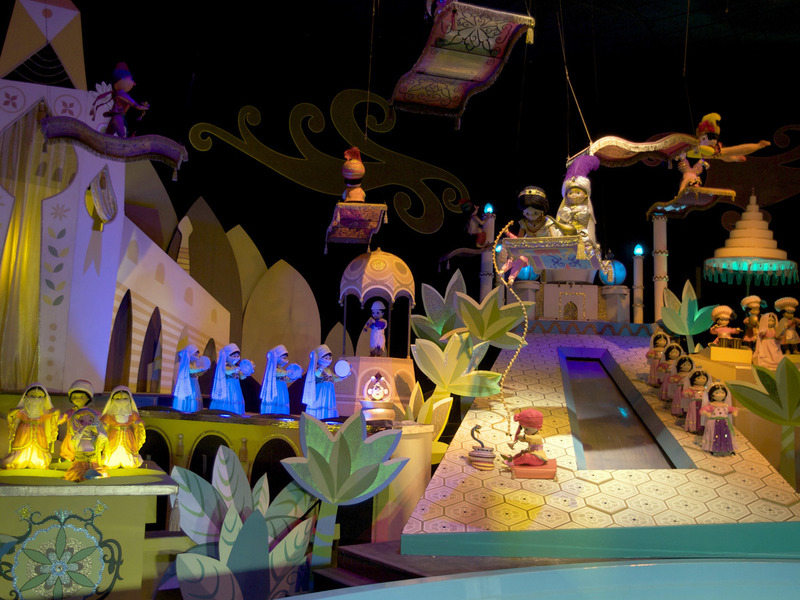 Items up for auction include an animatronic figure that smiled along to the classic ride It's A Small World. Whether the ride brought you joy or rage, well, we'll let you deal with that. Also available are a singing bird from the Tiki Room and one of the famous stretching portraits from the Haunted Mansion. Honestly though, can someone just tell me where I can find the Haunted Mansion wallpaper?